Ernst Haeckel was a naturalist and embryologist who, among other things, came up with the hypothesis that the embryonic stages that an organism passes through mirror its evolutionary path. "Ontogeny recapitulate phylogeny"
I purchased this plate from his folio "Kunstformen der Nature" at a recent plant show. It was being sold as an art print. 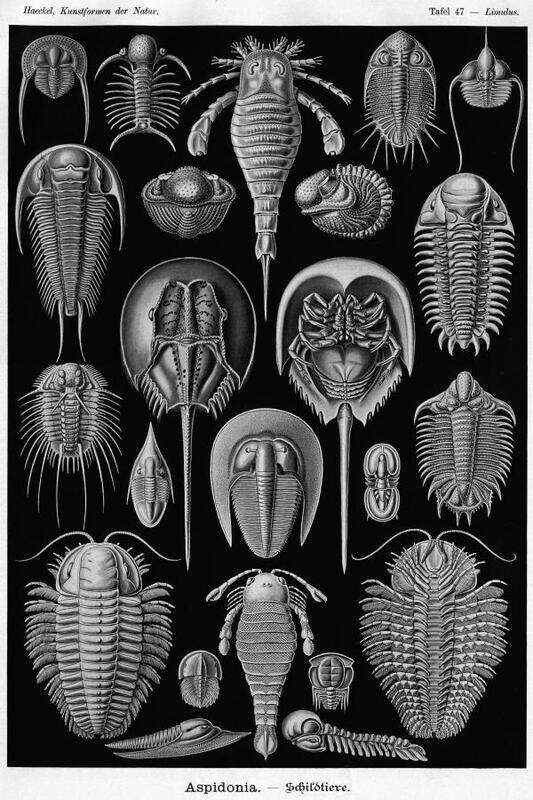 You can download this image, set it up as a pdf file put it on a cd and go to Kinko's or some similar copy center that can print oversized images and make your own Haeckel trilobite (and related organisms) poster! For MUCH MORE information on Trilobites I highly reccommend Dr Gon's Trilobite website . Link to a 300 dpi tiff scan of the Haeckel trilobite plate. 27 megabytes! Use your "download to local disk" function on this link! 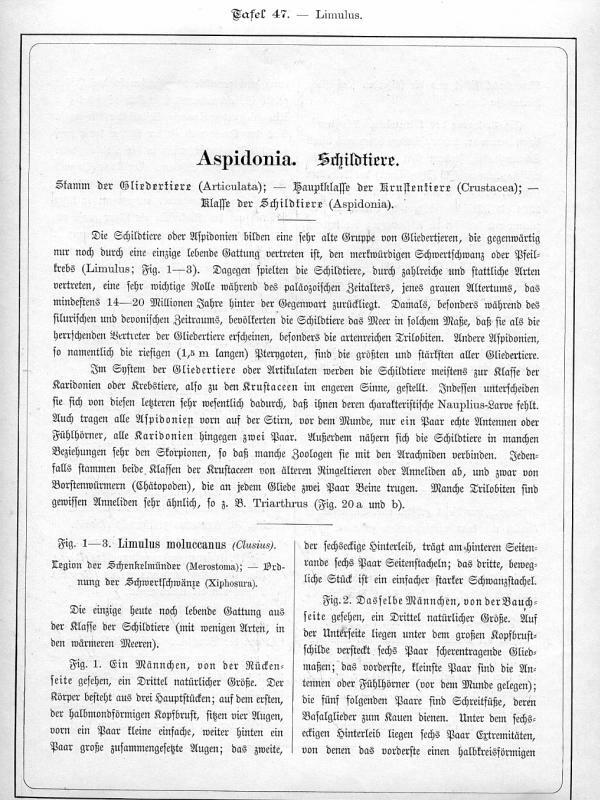 Link to a 150 dpi tiff scan of the first page of text of Haeckel trilobite plate.